The Homeless FA is in the process of becoming The Street Football Association. The Street Football Association succeeds the Homeless FA as England’s national street football body, running programmes open to all professional clubs in England that use football as a means of improving the lives of socially excluded people. Participating clubs have the opportunity to deliver our Street Football Association Training Programme, an evolution of the Homeless FA’s award-winning Training Centre Programme. This new programme will launch in April 2016. The Street Football Association Training Programme will be a year-round activity, with weekly sessions delivered at a host of our professional club partners across England. They will include engaging street football training and workshops – designed to develop both football and functional life skills – interwoven with the delivery of other training and qualifications. The Street Football Association will replace the Homeless FA in a phased process beginning in April 2016. As with the Homeless FA’s Training Centre Programme, the training will provide unique experiences and opportunities for all players, regardless of football ability. The emphasis remains on personal development, both on and off the pitch, and we will continue to support players to positively transform their own situations. Beyond The Street Football Association Training Programme, many additional opportunities and avenues to continue personal progression will be provided by Centrepoint and our partner clubs including employment, volunteering, training and further education. Once a player is part of a Street Football Association Training Programme they will be eligible to represent their club at a Street Football Association Festival. These exciting match days, run by Centrepoint and The Street Football Association, will include a street football tournament along with other inspirational elements retained from the Training Centre Programme, including our hero portraits. Team selections will be made by club staff and Player Progression Programme volunteers using inclusive selection criteria. The incentive of playing for a professional football club on a national stage is an integral part of this new programme. These Championships will also include good practice seminars for delivery staff. More information and further details about these developments will be available soon. The Player Progression Programme is a fantastic opportunity for outstanding individuals who have successfully completed a Homeless FA or Street Football Association programme to continue their personal development and support future activities. 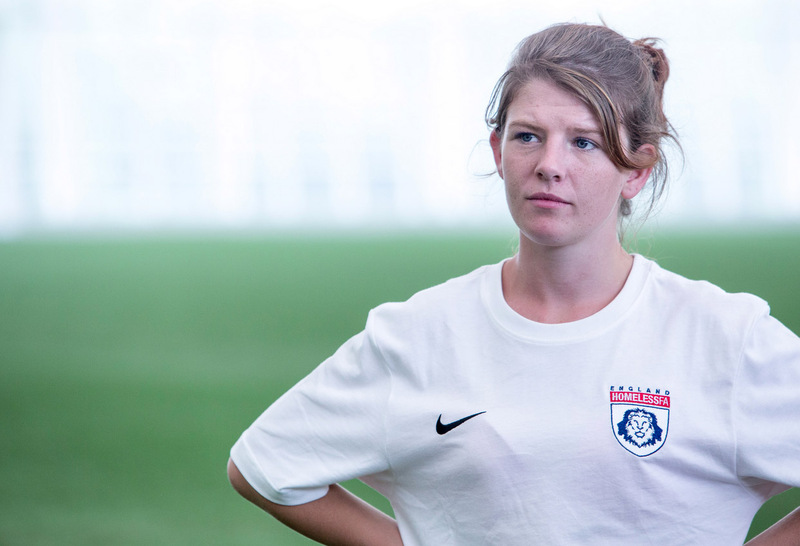 Former players can stay a part of the programmes by taking on voluntary roles such as Club Coordinator, Coach, Peer Support and other trainee positions. Player Progression Programme volunteers are in attendance during English Street Football Association Training Programme activities, encouraging current players, providing practical support to football club staff and assisting with the selection of Street Football Team England. They are able to do all of this by drawing on their own experiences, and are one of the most inspirational elements of the programme for new players. The Homeless FA was England’s national homeless football association, the only one of its kind in the UK. It worked within the professional game to unleash football’s potential to support the most vulnerable members of society, and encourage the homelessness and social exclusion sector to make us of the incredible power of football. he Homeless FA selected and managed Street Football Team England and was the designated national partner of the Homeless World Cup. These two responsibilities will be carried forward by The Street Football Association.